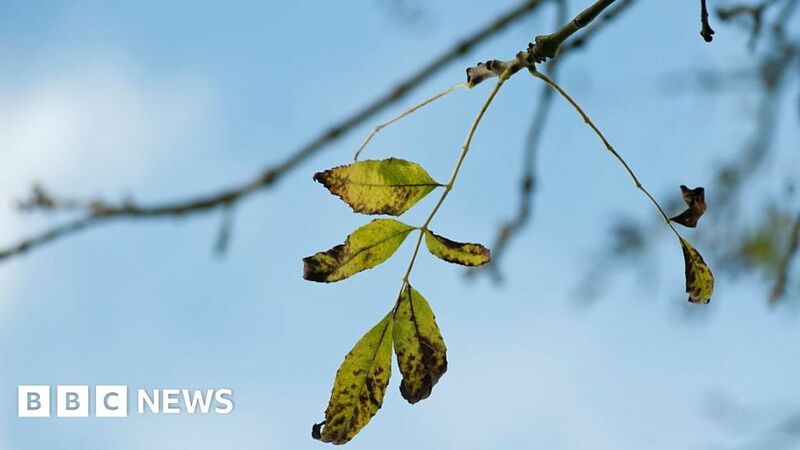 Home / Health / Ashes have died: ash groves "can bloom again"
Ashes have died: ash groves "can bloom again"
Scientists say there is hope that some ash forests can survive a devastating tree disease. Surveys across Europe show that the death rates of ash in forests are as high as 70% and 85% in plantations. A previous study found that almost all ash trees could be eradicated. The disease has been detected throughout Europe for the past 20 years, causing forest damage. In many cases, the fungus will eventually kill infected plants. "Although the numbers of those affected seem bleak, the percentage of surviving trees is encouraging from a long-term perspective," said Prof. Richard Buggs of Royal Botanic Gardens Kew and Queen Mary University of London. "If this survival is due to hereditary resistance, the ash populations may thrive again through conservation measures targeting breeding programs or natural selection." The researchers carried out surveys of ash erosion across Europe, including England, Ukraine, Scandinavia and the Baltic States. They found that even in forests that had been exposed to the disease for 20 years, not all trees were lost. "Although we can observe terrible ravages of European ash forests, our grandchildren may see viable ash populations," said the researcher. 0 years from the disease entering the country to the widespread death of ash. This means that in the UK the full extent of the ash fall will not become clear until 2022.